This is a rectangular Fauerbach Beer porcelain sign. This particular Fauerbach Beer sign is yellow with a white banner across the middle. 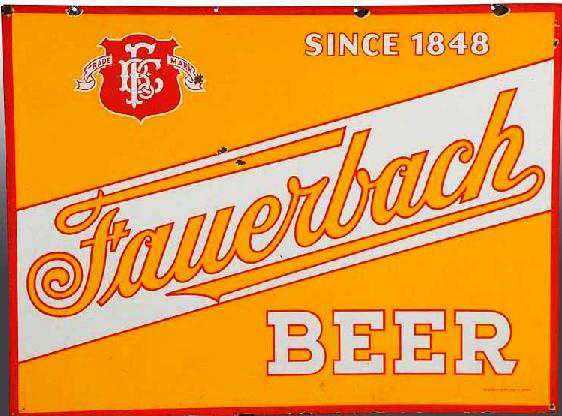 It reads, “Since 1848, Fauerbach Beer” and features a red emblem in the upper left corner.